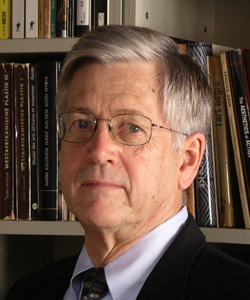 Kenneth Prewitt is the Carnegie Professor of Public Affairs and the Vice-President for Global Centers. He taught Political Science at the University of Chicago from 1965-1982, and for shorter stints was on the faculty of Stanford University, Washington University, the University of Nairobi, Makerere University and the Graduate Faculty at the New School University (where he was also Dean). 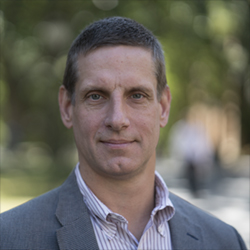 Tom came to AAPSS from the University of Pennsylvania’s Graduate School of Education, where he was the Assistant Dean and Director of Communications for over a decade. He holds a BA from Penn State and MS.Ed and Ed.D degrees in higher education management from Penn. His academic interests include organizational change in higher education and the nature of effective leadership as a collective practice. Prior to his career in higher education, Tom was a surface warfare officer in the United States Navy. 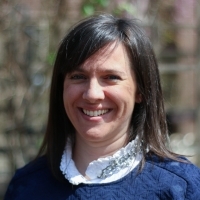 Emily came to the American Academy of Political and Social Science from Harvard Kennedy School (HKS), where she was the editorial associate and publications coordinator for the Program on Intrastate Conflict. At HKS, Emily primarily edited books in political science and public policy, with a special focus on African affairs. Emily joined the Academy in April 2010 as the managing editor of its bi-monthly journal, The ANNALS. In December 2011, Emily was also named the Associate Director of the Academy. Emily holds a BS in psychology from Union College and an MA in publishing and writing from Emerson College. Jessica joins the AAPSS as a Program Coordinator after ten years in the federal civil service, most recently as a Congressional Analyst for the Chairman of the Joint Chiefs of Staff. At the AAPSS, she is responsible for event planning, social media, and other administrative needs. 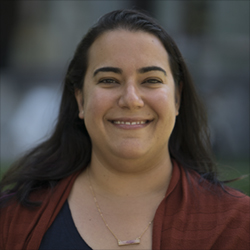 Jessica holds a BA in Political Science and Philosophy from the University of Pittsburgh, an MA in Political Science from the University of Massachusetts, and spent time studying politics at the University of Copenhagen.